"Into the Grey" was born into this world over the last ten months, conceived during a particularly heavy October rainstorm, while I sat on the limestone along the Lake Michigan shoreline in my hometown, Chicago. I was less than a year removed from the end of a fourteen year relationship with my soul mate, and six years into what had been an extraordinary run of bad luck, including major health issues that put an unholy strain on both of us. I was absolutely exhausted…spent physically, mentally and spiritually to a degree I hadn’t known prior. It all felt more like death, a passing; like a widower grieving over the loss of wife, a life together, and everything that goes with it. I was profoundly lost, utterly broken. The state of shock I was in came with an inability to write; for the first time I was at a complete loss for words…I acutely felt the turbulence, but I couldn’t do anything productive or artful with it. It was an abrupt and complete stop in my life. Looking out over Lake Michigan that day - the dark, choppy waves reflecting a violent sky - emptiness began to overtake the anger, grief and confusion. I thought back to old stories I had read about people at the end of their rope walking out into the sea...one last attempt to find dignity in their troubled lives. There was a poetry in that I thought, certainly twisted, but I understood that it represented a final grasp at peace and control. I let my mind wander, imagining how it would feel. I pictured the first few yards where the water was waist deep and I could still walk; the struggle to swim as the waters got deeper; a losing battle for breath; the panic as strength left my body and the current swept me away, lost and gone. Such beauty, such violence. It was an apt metaphor for my life at that moment...the helplessness of being at the mercy of greater forces, feeling so battered and exhausted, always at the edge of drowning. I felt a peace wash over me in that moment. I began writing. "Into the Grey" is my attempt to capture some of these emotions and craft something beautiful from them. 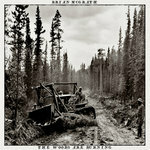 The album is by no means a record of the entire experience; I see it more as an impressionist sketch, the blurry waves of disorienting emotion one feels when life changes so dramatically, so quickly, so thoroughly. There is a sea/storm theme that runs through the album, meant to symbolize the greater forces that pull us apart from each other, pull us under, and break our will. There is no lesson to be learned here, no great moral to be drawn, nor grandiose statement on grief, loss, or pain. Awful things sometimes happen for no good reason and without some greater purpose. Life, like the sea, is indifferent. Sometimes you just get caught in rough waters and it forever leaves its mark. 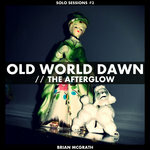 Words, Music, Performance by Brian McGrath. 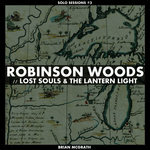 Recorded, Mixed and Mastered by Brian McGrath. 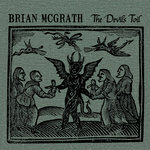 Brian McGrath is a Folk & Americana singer-songwriter and Chicago native. 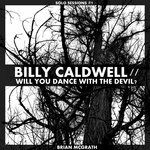 Solo Sessions #1: Billy Caldwell // Will You Dance With the Devil? As he says, "Don't you dare make a move!" He says, "I'll do what I please, what I please! No, no you'll never leave…ever leave"
He says, "Look me in the eyes, put up a fight!" He says, "See what I've done? See what I've done for you? Lord, help I've gone astray! And she says, "Wish I could stay darling, you know I have to go"
"I'll see you somewhere there someday...in the afterglow"
She said "Free, oh it ain't ever really free"
you know someone's got to bleed"
Lord, help me I have sinned! Is this the beginning or some end? She said, "Nothing to say darling, I just don't know"
"We'll make it back again some day...in the afterglow"
Sweet, Sweet Marengo, God say I have sinned! Help! Anyone? ‘Cause I can't, I can’t let her go! Will I shine on ma? God say I have sinned! Lord, load up the chamber, time to change, change, change...oh no! Oh, it's gonna mean something! Wild wind won’t you take me?